Designed for those who struggle to find a comfortable position whilst cycling, the Selle Italia SLR Superflow 130 Bicycle Saddle boasts a 30% carbon composite shell with elastomer suspension for enhanced shock absorption and a smoother ride. With lightweight padding for maximum comfort and cushioning, the saddle has an anatomical, flexible design for reduced pressure on the pelvis. Covered in breathable full grain leather to reduce perspiration, the long and thin profile will allow you to sit comfortably and pedal efficiently. - L.M. This is a really comfortable saddle and makes a big difference when riding. No numbness or soreness at all. Would definitely recommend getting one! Looking for relief from perineal pain and numbness? 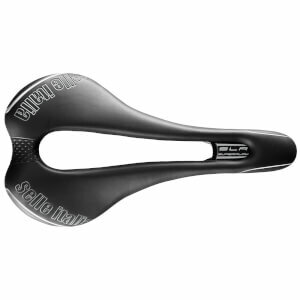 The SLR Superflow has what appears to be the largest stress-relieving cutout of any available saddle. And it totally works. I have tried several other cutout saddles, including Adamo and Terry Fly. None performed as hoped. The SLR Superflow incorporates all the features I had looked for: widest possible cutout, running practically the length of the saddle, flat profile, allowing the ability to shift fore and aft as needed for comfort, and enough firmness to avoid compressing the wrong parts of your nether region. I recommend this saddle without reservation to all who are still searching for just the right saddle. You won't be disappointed. Excellent saddle which is of the usual Selle Italia quality. No wearing in required and comfortable from the first minute. Have not done any 200km rides with it yet but I suspect it will not be a problem. I bought this SLR Superflow to try and address some numbness issues that I was having with my Fizik saddle, mainly on longer grinding climbs. I'm a larger rider at 6'1 and 93kgs and have never used a saddle with a cut out, so I thought I'd give this one a try. I've now put several hundred miles on this saddle and so far I can say that it's virtually solved all of my numbness and pain issues. At first glance, the SLR was a bit harder than what I was used to, and initially I thought that this might be a problem for me on longer rides. But I've found that this saddle actually feels more comfortable the longer I stay on it- making it quite ideal for longer event rides and sportives It's also a flat saddle which I thought could cause a problem (since that's also different than what I was used to) but it isn't at all. It's really quite easy to move around on and find that comfort spot as the road changes. So now I can pretty much climb, and hammer away all day long pain free and without numbness in the nether regions. It's exceptionally nice looking to boot and actually lightened up my bike a bit-(mine came in at 190 gms 5 less than advertised) which are all added pluses. The bottom line? Saddles are very personal and there is no "one size fits all" philosophy; and certainly one rider's opinion is exactly that. But if you're experiencing numbness or pain like I was I would definitely give this saddle a try-it could be just what you need to solve the problem. After searching for saddles that were comfy and would hold up to the 5 hr races, this one fit the bill. Highly recommend. Selle SLR superflow saddle's great rode it on a four hour ride and it was still comfortable ! Best saddle ever. 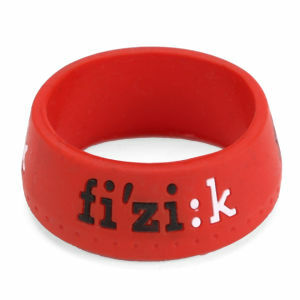 Just got one for my indoor bike. I like them that much. I recently switched my classic Selle Italia Flite Max Trans Am for this seat. I was looking for seat with the same comfort as my Flite Max but much lighter. The new seat is equally as comfortable, but is 100 grams lighter (190 vs 290). I liked the seat so well, I ordered another one for my 2nd road bike (w/fenders & 4 season tires for winter use). I use this seat on my hardtail mountain bike and my cyclocross bike. I find it very comfortable. Nice wide pressure relieving opening.